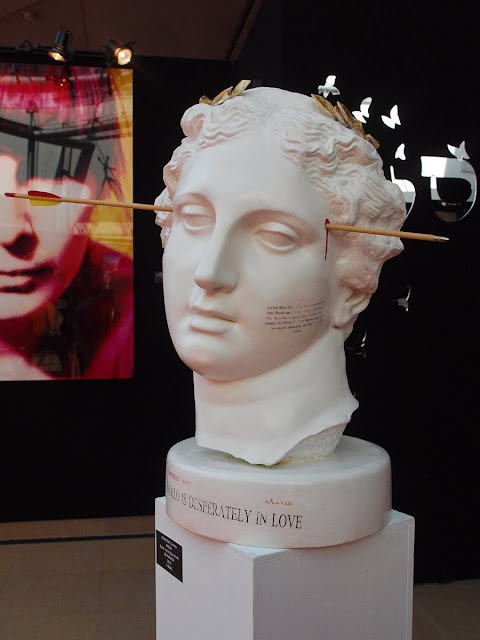 'Apollo is Desperately in Love'... by the Turkish artist, Ugur Caki. What's written on Apollo's cheek? Me too. Can't read the writing but suspect it's either Greek or Turkish or a mix of letters/languages. Hope he's got some Aspirin for that headache! Apollo, Cupid. Cupid, Apollo. The neurosurgeon will see you now. This proves, love damages your brain!